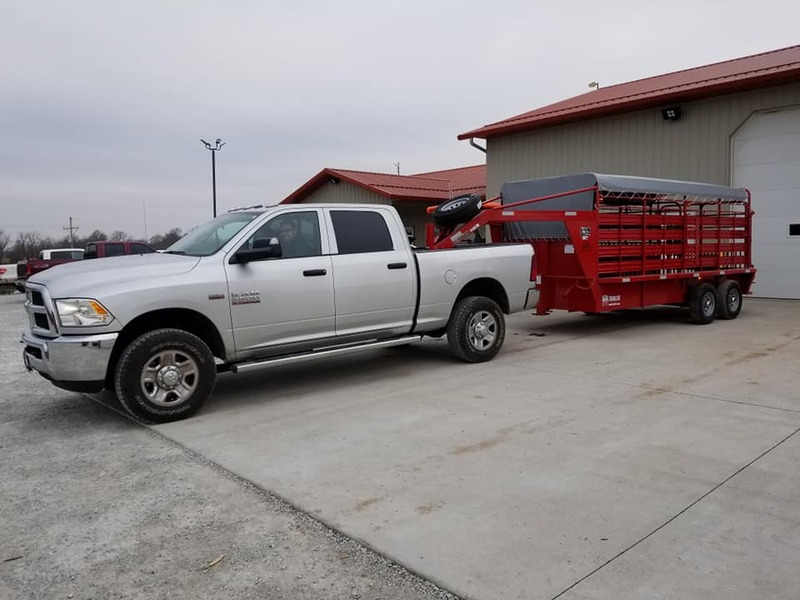 I found 4State Trailers online when I was having trouble locating a new quality livestock trailer in NWA. The website had up-to-date inventory, quality pics and descriptions which made the online portion of the search far easier and better than most other dealers. They carried exactly the brand (WW) and size (16ft) that I needed. They even carried multiple colors. Choosing between red and blue was the hardest decision we had to make (John was tie breaker for us). The price was more than fair for the quality of the product and better than other dealers I found in Arkansas. With the drive being an easy 1 1/2 hours from Fayetteville, the decision to buy from 4State was a no-brainer. We were hitched up and gone in 30-45 min and visiting with John and Marcus were probably the most pleasant part of trip. They’re good people! Just wanted to say Thank You All. Your service was outstanding. After the fist phone call I felt very confident that I picked the right place and people. Being in Springfield MO but my trailer in Miami OK with my son at NEO and it needing bearing, brakes and tire work before his trip home I was comfortable you would make it happen. 4 State Trailers is a Class Act operation. I bought my trailer last year from you, and found out you go by the 3 G''s Good products Good service Good people I recommend 4 State to everybody who asks me about mine. "Just want to say thanks to 4 State Trailers for getting me hooked to the best trailer we have ever owned. You have good trailers, good prices, sold by good people." Check back often to read new comments!